This is the eighth of a 10-part series of Korean history from its mythological, ancient beginning until the present day. This project is sponsored by several companies and public agencies including Merck Korea, eBay Korea, Daewoo Securities and Korea Post. ― ED. In the aftermath of the Japanese and Manchu invasions of the late 16th and early 17th centuries, the Joseon Kingdom savored about a quarter millennium of peace. In other words, the regime was given a chance over more than two centuries to strengthen itself and adapt to a changing world so as to compete with neighboring states. However, Joseon’s over-reliance on Confucian principles and ideals neglected to introduce the necessary practical reforms to better the lives of its people, many of whom were practically enslaved. Worse, politicians and bureaucrats split into various factions and their constant disputes and fights to gain power at the expense of each other, which sometimes overwhelmed the authority of the king. The winners got lucrative spoils like high positions in the government or wealth but the losers had to experience dismissals, exiles and even death and not just their own death but also the execution of family members, including in-laws. In the mid to late 17th century, a pair of successful leaders, King Yeongjo and King Jeongjo, attempted to deal with the bloody factional standoffs in a bid to change the fortune of Joseon, aided by the fresh ideas proposed by some reformative thinkers. Yet, such efforts failed to reap real results in the face of opposition and factional in-fighting between politicians. 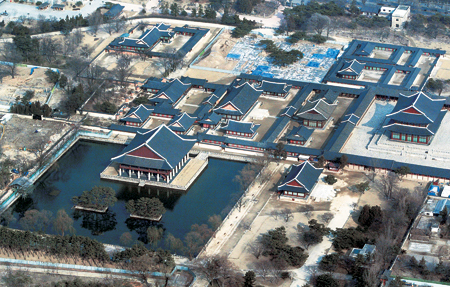 Some historians say that with the death of King Jeongjo in 1800, the Joseon Kingdom had run its course. After his death, it was the maternal relatives of the kings who virtually controlled the nation with the nominal monarchs having little real prowess to resist their intervention and so, Joseon lost its momentum to march forward. Against the outside pressures to open up the “hermit kingdom” in the mid and late 19th century, Joseon implemented the regressive measure of closing its borders to further lag behind. King Gojong attempted to introduce some reform measures and political maneuvers to prevent the collapse of Joseon in the waning years of the 19th century but to little avail due to the encroachment of imperialist Japan. Joseon practically became under the control of Japan in the first decade of the 20th century and the last “emperor,” Sunjong, saw the 500 year-plus kingdom disappear in disgrace in 1910. In the late 16th century just before the Japanese invasion, Joseon’s scholars were split into two factions and thereafter they divided into further sub-groups that sought power at court and ways to thwart their rivals. These factions were somewhat similar to the political parties in modern society in the sense that they competed to assume power in the government. Yet, they were different from present-day parties since they were pitted against each other based on not only political interests, but also scholastic stances, many of which emerged from the “i-ki Debate,” discussed in the previous section of this series. In addition, the losers had to be ready for violent purges. The factional struggles became so aggravated later that they interfered with almost every issue and this prompted some neutral scholars and kings to regard the factions as one of the most serious malaises of Joseon. Some of the controversial issues may seem ridiculous today, for example, how long royal family members should wear mourning clothes when a king or queen passed away. One scholar was actually forced to take his own life as his recommendation differed from that of another older, prominent scholar in a rival faction. Then came a pair of sagacious rulers who refused to take sides and who strived to check the imbalances between factions, which the kings feared were weakening the country. In the very year when King Yeongjo took the throne in 1724, he announced his decision to appoint top bureaucrats across factions, a policy that was succeeded by his grandson and next monarch King Jeongjo. 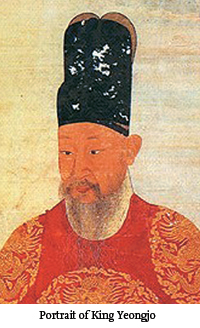 King Jeongjo, or the Coffin Prince’s son, spearheaded a host of reformative measures, bringing about a long-awaited renaissance to the kingdom in terms of culture, politics and technology. He also established the prestigious research academy known as the Gyujanggak, which still exists today at Seoul National University. In particular, he was aided by several young and reform-minded scholars, in particular Jeong Yak-yong with a pen name Dasan, who engaged with practical ideas, rather than Confucian ideals, and who is undoubtedly one of Korea’s greatest thinkers. 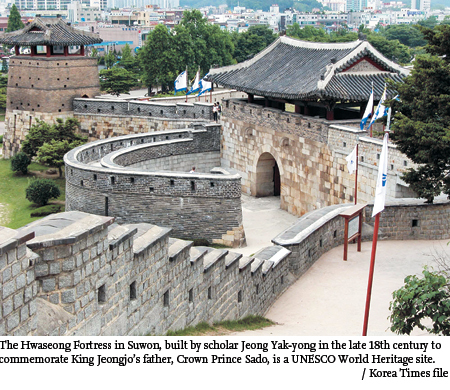 Jeong helped design a pulley system used to construct the Hwaseong Fortress in Suwon, a UNESCO designated World Heritage site. There are controversies whether he converted to Catholicism as the learned the religion in books written by European missionaries in China, which had been brought to Korea by envoys sent to Beijing. But his political rivals, mostly those in power, continued to claim that he was a converter to persecute him and in 1801, just a year after King Jeongjo’s death, hundreds of Catholics were executed. Jeong managed to escape death, but was exiled for 18 years to a remote part of the country’s southwestern area. One of his other brothers was also exiled, while another one was beheaded, having written the first book of Catholic doctrine in Hangeul. This changed Korea’s religious landscape forever, paving the way for later Catholic and Protestant missionaries. King Jeongjo, who died too soon, and who sought to change Korea for the better for his subjects, is sometimes compared to King Sejong the Great. Both are touted as the most prominent rulers, not only in the Joseon period, but in the whole of Korean history. 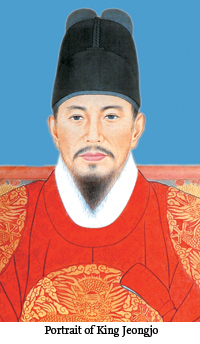 King Jeongjo’s life-time hope of removing the deep-rooted factional struggles was realized in the early 19th century after his death, but not in the way he would have envisaged ― monarchs’ in-laws single-handedly controlled politics to replace the competitive system involving the multiple factions. Those on the throne ruled in name only, so they could not stop the abuse of power because they were under the umbrella of powerful in-laws, as were court officials and military men too. Against this backdrop, the biggest victims were the common people, who were exploited, and so impoverished and starved, they often staged rebellions asking for the expulsion of corrupt bureaucrats and sometimes for the abolition of the feudal system itself. While Western countries were busy strengthening their national power in tandem with the brisk development of new technologies and weapons, Joseon remained in the backwaters of the past. In 1863, King Gojong was enthroned at the age of 11 and until he reached adulthood, his father Heungseon Daewongun became the de facto leader of the declining dynasty. From 1866 to 1871 he launched brutal persecutions against the Korean Catholics in the bloodiest purge of the entire Joseon Kingdom, torturing and executing thousands of believers, including several foreign priests. Soon King Gojong decided to take the royal reins himself and in 1876, he signed an unequal treaty with Japan to finally give up the closed-door policy, opening Korea up to powerful neighbors that hoped to swallow her up. In the 1880s, some young progressives, influenced by modern reforms many of them had seen while in Japan, sought to implement this “enlightenment” thought in Korea. They staged a brief coup on Dec. 4, 1884, hoping to introduce major reforms, but it was over in a matter of days and Japan’s encroachment into Joseon’s affairs would only get worse. Thereafter, Joseon became the place where imperialist nations carried out their stiff rivalry for overseas expansion, among them Japan, Russia and even the Qing Dynasty. Joseon was like a fish in a sea of much larger sharks, but internal issues destabilized the country too. The common people disliked corrupt Confucian bureaucrats and politicians as much as they did foreign forces, particularly Japanese ones, as amply demonstrated by the Donghak Peasant Revolution in 1894. Enraged by a county leader who exploited locals, peasants staged a series of uprisings beginning in the southwestern part of the Korean Peninsula and later expanding up to the central regions. Ironically, the anti-feudalism campaign, which also rejected foreign influence in Korea, ended up drawing overseas forces from China and Japan to suppress the growing peasant army. Under the stewardship of Empress Myeongseong, the wife of King Gojong, the government asked help from the Qing Dynasty to deal with the revolt and this prompted Japan to dispatch its army under the pretext of preserving its citizens in Joseon. China and Japan would soon use the Korean Peninsula as a battleground for their own ambitions as the two staged battles and the Japanese side won out so that Qing accepted its defeat in a treaty between the two in 1895, which also beefed up the Japanese military presence in Joseon. Then, Empress Myeongseong tried to establish an alliance with Russia so as to check Japan’s growing power in Korea. In response, the Japanese Minister to Korea, Miura Goro, orchestrated her assassination at Gyeongbok Palace, situated in central Seoul today. In October 1895, at the age of 43, she was stabbed and murdered. Suspicions were raised that she was raped, alive and dead, by the murderers. Her corpse was burned and her ashes disposed of ― a tragic death for a woman who once almost completely controlled the court of a country with a long history dominated by men. The incident is one of the saddest and most shameful scenes for Koreans, worse than King Injo’s humiliating bows to the emperor of the Qing Dynasty in 1837, which was featured in the previous section of this series. In early 1896, King Gojong and his crown prince moved their office and residence from the royal place to the Russian legation in Seoul where they ruled for about one full year. Critics brand the measure of taking a refuge at a foreign legation as cowardly, but some counter that the second last ruler of Joseon tried everything he could to curb the growing Japanese influence. The next year, they returned to the palace where King Gojong proclaimed the founding of the “Great Empire of Korea” and introduced reformative policies in order to boost the moribund regime but to little avail. Convention to let the world know about Japan’s attempt to occupy Joseon against the will of the Korean people. His son, Sunjong, the last emperor of Joseon, succeeded King Gojong but Japan annexed Joseon by force in 1910. The Korean people would have to endure 35 years of brutal colonial rule. Dr. Kevin N. Cawley is currently the Director of the Irish Institute of Korean Studies at University College Cork (UCC), Ireland _ the only institute in Ireland dedicated to promoting Korean studies ― funded by the Academy of Korean Studies, South Korea. He was previously a Gyujanggak Fellow at Seoul National University. One of the greatest scholars and reformers in the late Joseon period, who was also a convert to Catholicism.